Dutch crocuses never fail to surprise the eyes after a long winter. Freely planted, they proclaim in colorful drifts that spring is on its way. 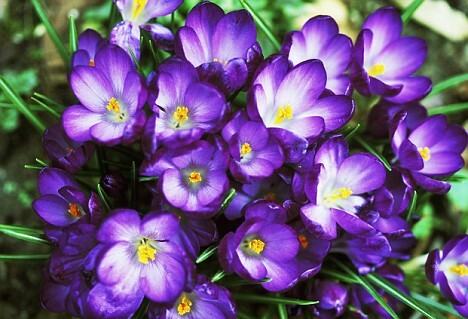 Hokus Crocus is a blend of large, goblet-shaped flowers in white, purple and white striped with purple. Plant Height: 5 Inches Bulb Size: 9-10 cm Bloom Time: Very Early Zones: 4-7 Sunlight: Full or Part Soil: Well-drained Depth: 3 inches . Priced for qty 5 bulbs.